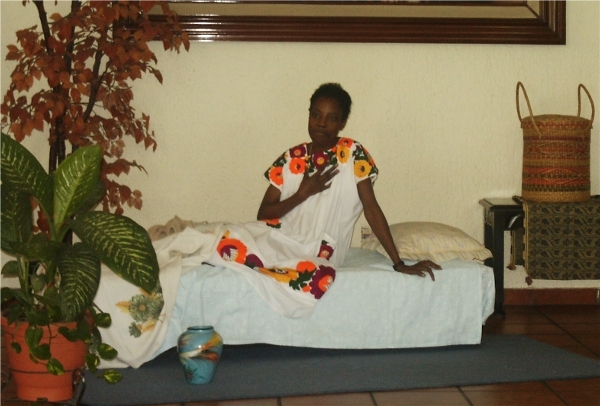 This summer, while studying Spanish in Mexico, I stayed with the Sisters of the Eucharistic Heart of Jesus. 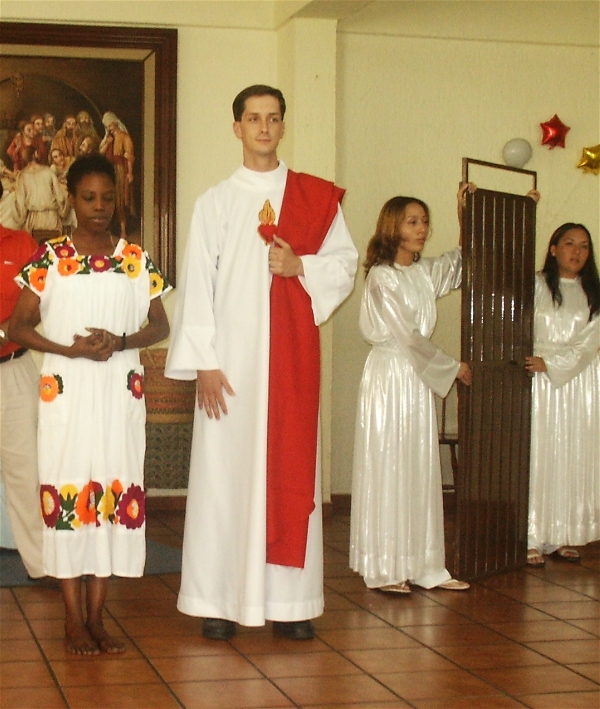 One of their big feast days every year is the celebration of the Sacred Heart of the Lord. in which Jesus comes as the Beloved who knocks on his bride’s door. 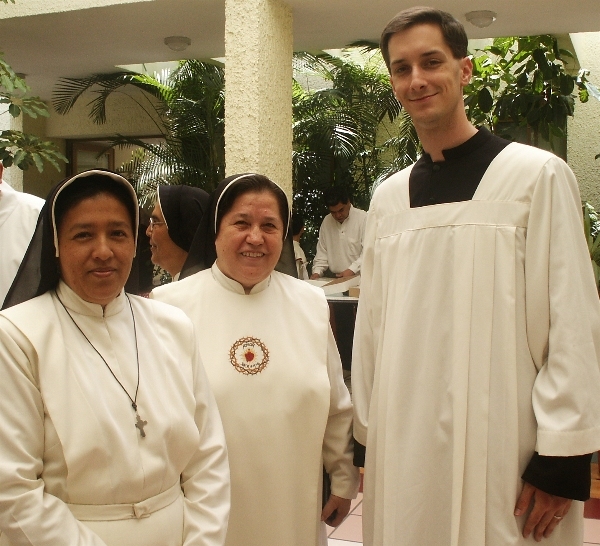 Some of the sisters on the feast day of the Sacred Heart. They have really beautiful habits. Sister Amelia, playing the role of the bride who hesitates at her beloved's knocking. Searching everywhere, she realizes that he has left. 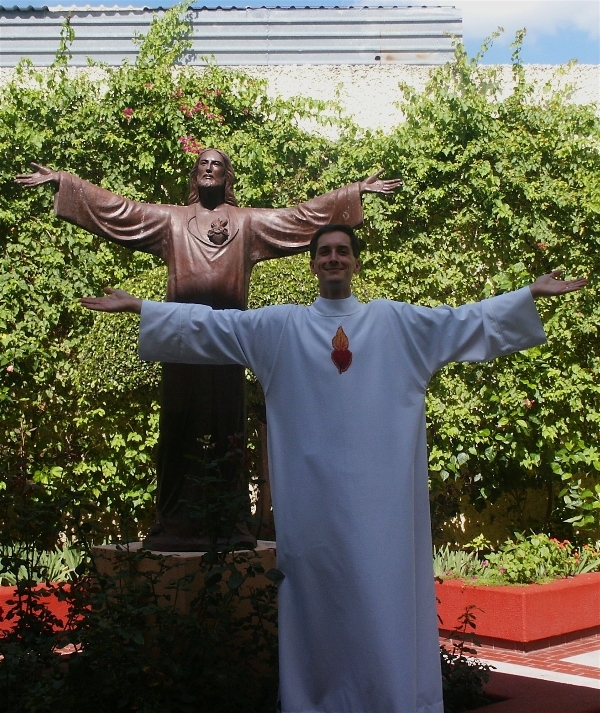 I could not resist the temptation to pose in front of their Sacred Heart statue, haha. 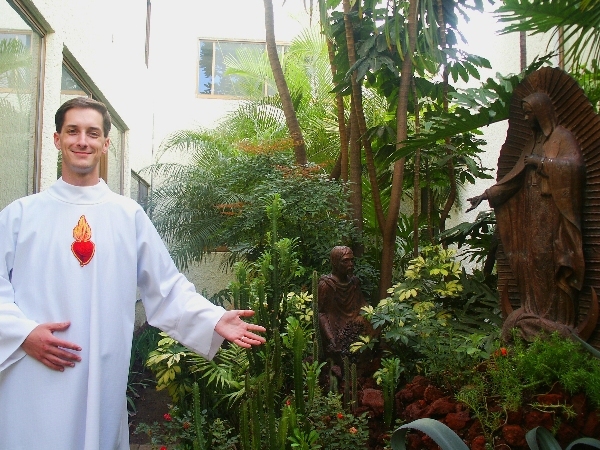 Me standing in front of a really cool little representation of Our Lady of Guadalupe appearing to St. Juan Diego.